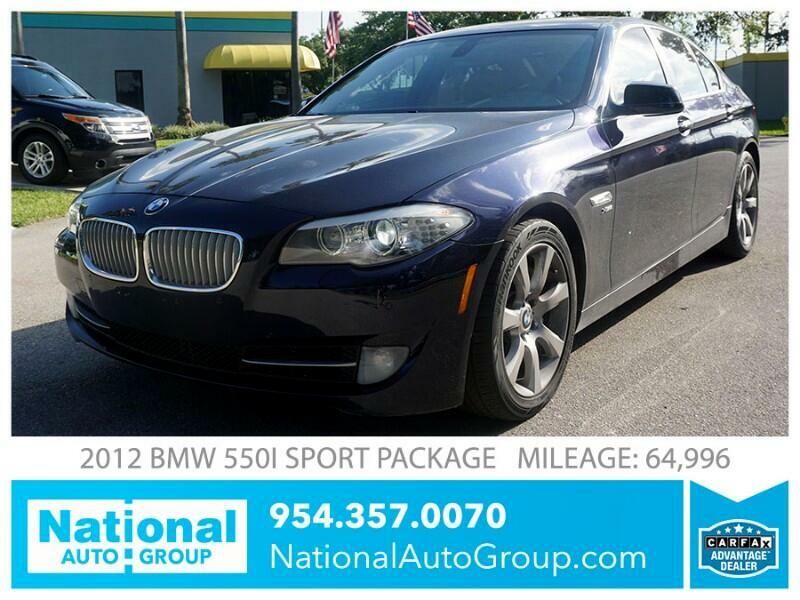 This 2012 BMW 550i Sport Package is a must see. The car has extremely low mileage for the year. Beautiful color combination. Exterior color is Carbon Black, Interior color is Beige. Vehicle is in perfect mechanical condition. This car was just fully serviced, all 8 plugs and coils were changed, brand new brakes, oil and filter were changed. The body of the car is perfect, no dents and no scratches. Vehicle is being sold at wholesale price, this is a really great deal and won't last long. We offer a 90 day / 3,000 miles warranty with the car.